The 18th of March 2016 Bad Afro Records will release our album, Magical Solutions To Everyday Struggles on 12" Vinyl and as digital download. To celebrate we're hosting a reception at Route 66 (Copenhagen). Drop by, listen to the new record and have a beer. 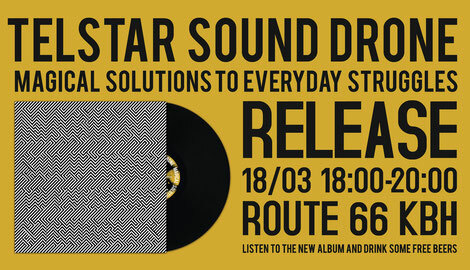 The day after the release, Saturday the 19/3, TSD will play a concert at Loppen, with Anders Stub as warmup!